Born in Kibbutz Afikim, Israel, Prof. Tirosh-Samuelson holds a B.A. in Religious Studies from SUNY in Stony Brook (1974) and a Ph.D. in Jewish Philosophy and Kabbalah from the Hebrew University of Jerusalem (1978). Prior to joining the faculty of Arizona State University, she taught at Indiana University (1991-1999), Emory University in Atlanta (1988-1991), Columbia University (1982-1988), and Hebrew Union College-Institute of Religion (1980-1982). In 1997 she was a Visiting Scholar at the University of Pennsylvania and in 2006 she was a Visiting Fellow at Wolfson College of Oxford University and Visiting Scholar of the Oxford Centre for Hebrew and Judaic Studies in Oxford. In 2005 Prof. Tirosh-Samuelson and her team at ASU received a large grant ($ 500,000) for the Templeton Research Lectures for Constructive Relations of Science and Religion (2006-2009) for a project titled, "Facing the Challenges of Transhumanism: Religion, Science, and Technology." The grant has sponsored public lectures, workshops, symposia, and book publications. In 2007 Professor Tirosh-Samuelson received the Distinguished Alumna Award from the Stony Brook University. In addition to numerous articles, book chapters, and book reviews, Professor Samuelson is the author of The Life and Thought of Rabbi Judah Messer Leon (SUNY Press, 1991), which received the award of the Hebrew University for the best work in Jewish history in 1991, and the author of Happiness in Premodern Judaism: Virtue, Knowledge and Well-Being (Hebrew Union College Press, 2003). 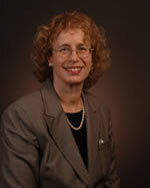 She is also the editor of the following books: Judaism and Ecology: Created World and Revealed Word (Harvard University Press, 2002); Women and Gender in Jewish Philosophy (Indiana University Press, 2004); The Legacy of Hans Jonas: Judaism and the Phenomenon of Life (Brill Academic Publishers, 2008). She is currently completing a book, Judaism and Nature: the Dialectics of Sacred Texts to be published by Indiana University Press. 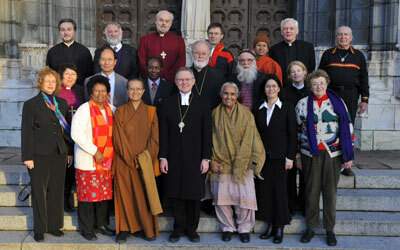 The Judaism, Science and Medicine Group is an international organization of natural and social scientists, philosophers, historians, physicians, rabbis, theologians and educators acting to promote and facilitate a close relationship between Jewish religion, cultures and values and the sciences for the mutual benefit of both. The organization seeks to increase the knowledge and appreciation of the sciences, Judaism and their interrelation and to offer a forum to reflect and deliberate on the implications of scientific advances from Jewish perspectives. Working across denominational lines, the organization will disseminate its mission in academic and non-academic venues using a variety of media. Create forums for dialogue between scientists, healthcare professionals and scholars of religion. Foster interdisciplinary, collaborative research projects on specific points of intersection between Judaism and the sciences. Educate the broader Jewish community about the interrelation of the sciences with Jewish religion, cultures and values through lectures and specialized training. Enable Jewish scientists and healthcare professionals to understand their work in the context of Jewish history, religion and values. Develop materials and courses for Jewish educational institutions at various levels, including rabbinic seminaries. “Nature and Renewal in Modern Judaism,” Leonard Wolinsky Lectures on Jewish Life and Education,” York University, Toronto Canada (March 7, 2010). “Kabbalah Scholarship and Jewish Spiritual Renewal,” Beth El Congregation, Phoenix (January 16, 2010). “Judaism and the Current Ecological Crisis,” Peninsula Jewish Community Center, Foster City, CA (December 6, 2009). Martin and Helen Schwartz Lecture Series in Jewish Studies at Indiana University, “Jewish Environmentalism? – The Biblical Conundrum” (Nov. 16, 2009) “Nature in Modern Judaism: Between the Secular and the Religious” (Nov. 17, 2009). “Israel Today: Promise and Challenge,” President Community Enrichment Program (October 22, 2009). “Kabbalah Today: The Contemporary Appeal of a Medieval Tradition” Temple Brith Shalom, Prescott AZ (May 15-16, 2009). “Judaism and a Sustainable Future,” Temple Beth Am, Los Angeles (March 19, 2009). “Jewish Ethical Wills in Historical Perspectives,” Jewish Community Foundation, Jewish Community Center, Scottsdale AZ (January 21, 2009). “Judaism and Environmentalism,” Shalom Group of Leisure World, Mesa AZ (January 18, 2009). “Transhumanism: A Jewish Critique,” ASU Retired Faculty Wives/Women’s Club Meeting, (January 12, 2009). “Integrating Feminism and Jewish Studies”, Symposium on Women of the Book in the Jewish Tradition of Learning & Growing, Jewish Community Center, Scottsdale AZ, (November 9, 2008). “An Israeli Woman Studies Judaism: Challenges and the New Directions,” Hadassah-Prime Timers Chapter (October 29, 2008). “Kabbalah and the Quest for a Modern Jewish Identity,” The New Shul, Scottsdale AZ (September 13, 2008). “Jewish Studies at ASU: A Look to the Future,” Temple Solel, Scottsdale AZ (May 14, 2008). The design or content of this website cannot be used without the express permission of Dr. Hava Tirosh-Samuelson.